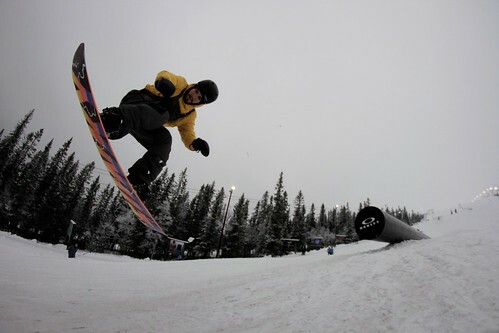 Nicola Bonini who is currently in charge of Stöten Snowpark showing us a backside 180 off the rail in Lindvallen, Sweden. There's not enough snow yet, but if you are in Sweden during the season you should definitely go to Stöten Snowpark since it is definitely worth the shred! For more shred shots, CLICK on the photo above & take a tour through the rest of the TOTW gallery. Enjoy! TO EVERYONE ELSE... YOU want to have a go-shred TRICK OF THE WEEK and see your shot next week on our website & social media? We will post the best shots/tricks each week! Skiers, snowboarders, skateboarders, surfers etc.. you are all WELCOME!